I hope you are at church this Sunday morning because we are going to share a major breakthrough in our ministry and connection. If you are present in the service Sunday, you are going to learn about an innovation that will be unlike anything Buck Run has done before. I had better stop right now or I will give the surprise away by saying too much. Just be there Sunday morning, ok? For all of my years at Buck Run, I have been burdened for our families and marriages. I cannot help but take it personally and feel great sorrow when marriages within our church family fail. I am grateful to God that it has not happened much, but when it does, I always wonder if I could have done something different if I should have done something more. Sometimes the answer is yes and results in my personal confession and resolves to do better by God’s grace. Often, however, I also realize that the couple that split apart did not avail themselves of the resources at their disposal. One of the greatest resources offered to families at Buck Run is our annual marriage retreat in Pigeon Forge, Tennessee. I want to get as many married couples to attend as possible. It’s an absolutely important time of refreshing. If you have a great marriage, I need you to be there to be a model of what a Christian marriage looks like. On the other hand, if your marriage struggles, I need you to be there to hear God speak to your heart. I am convinced that the secret sauce of our marriage retreat is that we don’t over-program it, but we give couples lots of time to be together and enjoy each other. We give a little instruction, some marital coaching, and encouragement, but mostly we give couples the gift of reconnection in a wonderful environment. If you haven’t signed up, do it now. Many couples here at Buck Run have shared testimonies that the marriage retreat saved their marriage. Others have borne witness that it strengthened their already-strong marriage. Whatever your situation, you will have a great time. Please sign up today! Another great opportunity coming up next week is our Disciple Now weekend, an annual time of teaching and connection with our students. God uses this in the lives of our students to save some, to call some into ministry, and to encourage many in their faith. Do all you can to help and to get students committed to attending our DNOW weekend. Matt Ross has a great strategy to encourage students in the Lord, so let’s all help in every way possible. 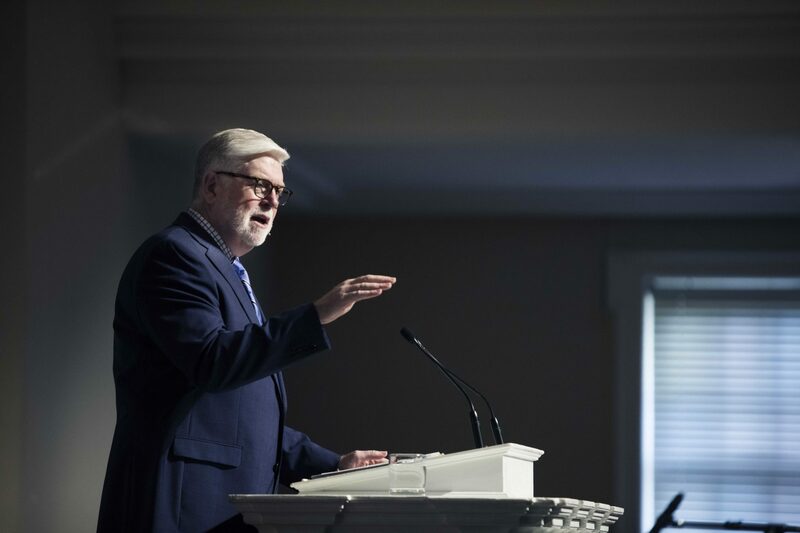 Jesus asked, “When the Son of Man returns, will he find faith on the earth.” I want us to do everything we can to ensure that, when Jesus comes again, he will find the Buck Run Baptist Church using everything at our disposal to reach the lost with the glorious gospel of Christ and to make disciples of the nations. Who is the one person that you want to reach for Christ this year? Who is the one person whom you are asking the Lord to save and to bring into the church? What is your strategy to share the gospel or to get them to attend church with you? If we each accept the burden of reaching one person, God will do a great work in Buck Run—and in your heart—this year. One month is already gone. We only have about 10 ½ months left to do it, so let’s get to work.